At just seven or eight years old, Dr. Harte was an aspiring medical doctor. Sitting in front of the television watching medical shows with a notebook and medical dictionary in hand, he was certain of his future career path. Just before he began college pre-med, he started working as a hospital orderly where his back was severely injured. After visiting an orthopedist who soon became his hero, he learned there was no immediate solution, was prescribed strong pain medication, and was told he would be back at 30 or 40 years of age for a total lumbar fusion. Dr. Harte’s first four years of college as well as his initial two years into medical school were accompanied by episodes of back pain. While back home for the summer, the pain worsened – shooting down both legs, and he became desperate for immediate relief. At the young age of 23, he knew it was time for surgery, but he was stopped in his tracks after reading the statistics on spinal fusion. The potential side effects appeared more devastating than his current state. It was around this time that Dr. Harte’s folk guitar instructor made a life-altering suggestion – “Why don’t you try a chiropractor?” His response was complete skepticism. “Are you kidding? Chiropractors are quacks. I’m a medical student.” Following further conversation about the positive impact chiropractic had on his instructor’s growing family, Dr. Harte made the decision to go. Upon arrival, he was given the most thorough exam that he had ever experienced, including an x-ray and an explanation of chiropractic and how it worked. Unconvinced, he allowed the chiropractor to adjust him. He stood up straight and pain-free for the first time in months. Shortly after, other small health issues also subsided. Dr. Harte was sold – he quit medical school and enrolled in chiropractic college in 1977. In 1980, he graduated from New York Chiropractic College, and in 1981, he opened his practice and never looked back. As a chiropractic activist, Dr. Harte was honored by the World Chiropractic Alliance (WCA) as “Chiropractor of the Year” in 2006. 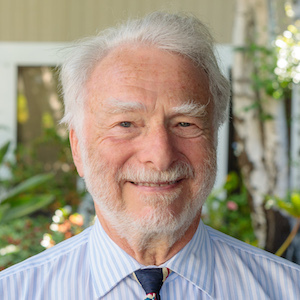 In addition, he has been on the Boards of the WCA and the Council on Chiropractic Practice for several years, has testified before the Marin Board of Supervisors and the Health Committees of the California Assembly and Senate, and has written for Omni Magazine, Chiropractic Journal, Marin IJ, and San Francisco Chronicle. Increasingly more knowledgeable each year, Dr. Harte has spoken at Sherman and Life West Chiropractic Colleges and even developed his own chiropractic technique, incorporating tonal, structural and postural techniques. Dr. Harte married his wife, Carole, in 1978. He met her while she was running her brother’s health food store, back when health food stores were small, family-run businesses. Since the beginning, his family has lived the lifestyle in which he so strongly believes. Carole was saved from a lifetime of asthma by chiropractic care, and even their son Abraham, born in 1984, was adjusted at just five minutes old. The rare times Abraham felt ill, he was quick to ask his father to adjust him. Within 15 minutes, the sick feeling always subsided. Expressing life at its fullest, Abraham left the sixth grade and entered the College of Marin when he was just 11 years old. At the age of 22, he got his PhD in theoretical physics at Pennsylvania State, and now at 28, he is a physicist at the Albert Einstein Institute in Germany. Dr. Harte is proud to support Oklahaven Children’s Chiropractic Center and Kentuckiana Children’s Chiropractic Center. We’d love to help you achieve your true health potential, naturally. Contact us today to book your first visit!